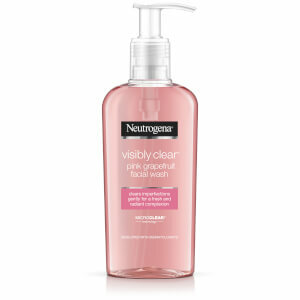 Our NEUTROGENA® Visibly Clear® Pink Grapefruit Oil-Free Moisturiser, is a daily facial moisturiser with a fresh fragrance that leaves skin looking beautifully clear and healthy. The light oil-free formula provides 24hr hydration without clogging the pores. 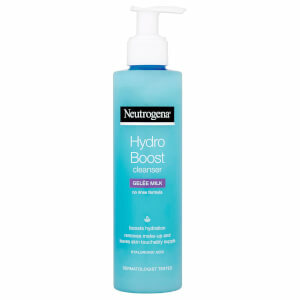 It absorbs quickly and leaves your skin feeling smooth and soft. 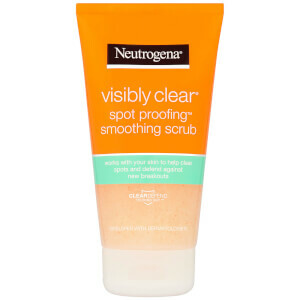 Enriched with MicroClear® technology, used daily, it helps to reduce and prevent spots and blemishes. Skin looks more smooth and even, the complexion is visibly improved. The lightweight formula with its delicate hint of pink grapefruit quenches your skin with hydration and uplifts your senses so you look and feel fresh. 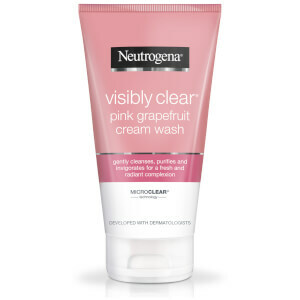 First use pink grapefruit daily facial wash or daily scrub to clean skin. Then smooth moisturiser over face and neck morning and evening. Avoid contact with eyes. In case of contact with eyes, rinse well with water. [PR-015516], Aqua, Glycerin, Propylene Glycol, Cetyl Alcohol, C12-15 Alkyl Benzoate, Glyceryl Stearate, PEG-100 Stearate, Stearyl Alcohol, Salicylic Acid, Aloe Barbadensis Leaf Extract, Chamomilla Recutita Flower Extract, Menthyl Lactate, Cetyl Lactate, Cocamidopropyl PG-Dimonium Chloride Phosphate, C12-15 Alkyl Lactate, Dimethicone, Sodium Isostearoyl Lactylate, Propylene Glycol Isostearate, Palmitic Acid, Stearic Acid, Carbomer, Acrylates/C10-30 Alkyl Acrylate Crosspolymer, Sodium Chloride, Disodium EDTA, Sodium Hydroxide, Lactic Acid, Benzalkonium Chloride, Methylparaben, Propylparaben, Ethylparaben, Parfum, Benzyl Alcohol.